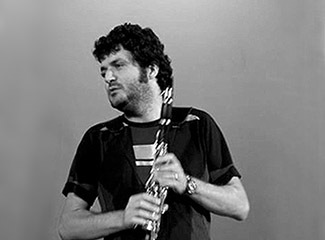 Oguz Büyükberber is mainly known for his unique language of improvisation on the bass clarinet, which uses contemporary music, Turkish music, and jazz idioms. After receiving his BA in visual arts in Istanbul, he studied at Amsterdam Conservatory with Harry Sparnaay, and audited Theo Loevendie&rsquo;s composition classes. He has performed in major festivals all over Europe such as North Sea, Parliament and London Jazz Festivals. He has recorded four solo albums, participated in over 30 albums including two releases from Blue Note, and collaborated with Butch Morris, Craig Harris, Michael Moore and many others.